I first met Diane Fall (Hankins) in early 1982 when she visited me at my distributorship headquarters in South Texas. I had responded to an ad she had place in Modern Brewery Age searching for distributors to handle Warsteiner. We had dinner, and I committed to distributing Warsteiner in my area. That evening started a 30+ year relationship with Warsteiner. Over dinner Diane and I learned that we both had come from a Coors background. She was a commodities buyer for Coors, and through a hops seller, Albert Jaenicke, a close friend and advisor (also a close friend of Cramer), had met Albert Cramer, owner of Warsteiner. Albert had wanted to open the US but didn’t have anyone to help him, but once he met Diane, he tried to convince her to join him. But Diane wasn’t ready. As circumstances would have it, however, Albert didn’t give up, and about six months later, Diane decided that the time had come and she agreed to assist Albert. Diane started the agency in Denver, where she lived. Her first challenge, of all things, was when the TTB denied her label approval for Warsteiner. Not about to give up, she flew to Washington, befriended the staff at the TTB, visited them everyday for a week, bringing coffee and donuts, and by the end of that week, had the label approved! Her next challenge came in finding a wholesaler! No one was interested in the Denver area, so she came up with the idea of having a dinner while inviting all the Colorado Stroh distributors. Bill Coors and Morgan Guenther, VP of the USBA, were invited to the Brown Palace Hotel where the dinner was held. At the dinner, Bill wasn’t sure why he was there with the competition but encouraged the distributors to work with Diane. The result? Her first wholesaler signed up that night! Diane’s business model was 20 years ahead of its time. Knowing that marketing was the real key to establishing Warsteiner, she decentralized her structure for sales, but she had a VP of Marketing. Diane oversaw the sales department which had key managers in targeted markets supported by the marketing staff. The Denver office coordinated logistics and support, and under this system, Diane was able to focus on sales/marketing. Her emphasis on marketing was the key to getting the brand well established. After I took over the Warsteiner agency, Diane related some early stories about her efforts in trying to get Warsteiner into stores. One time, at a chain in Phoenix, the buyer wouldn’t authorize Warsteiner because of the “lack of media” support. So, Diane figured out the route the buyer took everyday to and from work. Then she bought four billboards, placed two facing each direction on the highway, then waited 30 days. The next time she visited the buyer, he was so impressed with the billboards he had seen on his way to and from work, that he authorized Warsteiner in all his stores! Perhaps those of you who were around back then were fortunate enough to have participated in the famous Warsteiner pub crawls at the Las Vegas NBWA annual convention. Remember those great evenings hosted by Diane and her team? The pub crawls were by far the best vendor events I have ever attended, and I’ve been to a lot of them! Those crawls are still remembered with a smile. Editors note (February 13, 2013): Diane passed away in January unexpectedly with her family at her side. She was my friend and will be missed. When I was a young District Sales Manager for Lone Star Brewing Company, I had the opportunity to spend quite a bit of time with Harry Jersig, Chairman and founder of the brewery. He grew up with Lyndon B. Johnson in South Texas and they were friends. On numerous occasions, Harry mentioned that LBJ served Lone Star Beer in the White House….a fact in which Harry took great pride. In the late 70’s, Paul Newman used to drink and promote Coors, however, once the United Farm Workers Union and the Gay activists started boycotting Coors for their political views, Newman switched to Budweiser. I always wondered, how then, did that Bud bow-tie logo get decaled on Newman’s race car? I’m sure it was just a coincidence. About that same time, Coors signed Lee Trevino to represent their brand. Since distribution was limited to west of the Mississippi, Trevino was only required to carry the logoed golf bag in those markets. Trevino also participated in six golf exhibitions per year, playing nine holes in specified markets. Not so sure those exhibitions helped Coors, but they were well attended and a lot of fun! 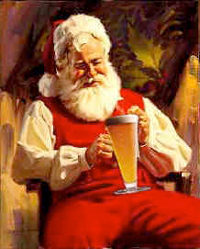 Over the years, many celebrities have represented various beer brands. Even the great Ben Hogan once endorsed Pabst Blue Ribbon! Celebrities have also served as spokesmen for various brands, including Mark Harman for Coors Banquet and, of course, Ed McMann, for Budweiser. I always wondered just how effective was that type of marketing? It’s been published that Heineken has paid $45 million for the rights to the new James Bond movie “Skyfall.” This reportedly included product placement in the film and even one scene where Bond actually drinks a Heineken. There was an additional scene in “Skyfall” with one of the other actors drinking a Heineken while helping Bond at the headquarters of the British MIS. Odd that drinking beer in that situation would be allowed, even for the British? I’m sure that $45 million dollars helped. Recent Nielsen scans show that the Heineken brand is up +5% and the franchise is up +4.5%, although the SIG numbers for November 4th indicate a +4.4% for Heineken, -8.7% for the Heineken Light. This increase is attributed to the movie (wonder what the world numbers look like?) which just started playing in the US. After two weekends, the total global revenues are $669 million for the movie! This past summer, I had lunch with of one of the leading craft brewers in the U.S.. We discussed what they had recently attributed to the positive increase for their the sales numbers. This brewery had tried everything, including TV, but what they said were the two most impactful programs for them: (1) hiring “feet on the street” and (2) upgrading packaging. This brewery had found that the consumer today is “looking for a story” on the package. This brewery took three of their brands and added a story to the six packs. The findings support the information from research that the consumer spends more time at the cold box than anywhere else in the store. Immediately sales for this particular craft beer surged on all three brands! If you haven’t noticed, Heineken now has the James Bond image on their packaging. So the question becomes, can the $45 million dollar investment in James Bond lift the Heineken image globally? And, if so, for how long? Perhaps that question should be asked to the “most interesting man in the world,” whatever his name is . Some years ago a colleague of mine who had been in the beer industry for 20 years, left the profession to go into real estate. He had been employed in his new trade for about 12 months when he called me. We talked for a while and he said he really enjoyed his new life. I asked if he missed anything about the beer business. His comment, “Only one thing… the people!” How true! I’ve met and worked with hundreds of great people over the decades, many have stayed in touch with me, many haven’t and I wish we had done so. During the week of Thanksgiving, however, two longtime colleagues and friends passed away. During my time at Glazer’s I worked with Bill Saul. Bill was in charge of training and development of the Glazer’s staff. He was employed by the family for over 20 years. I had the pleasure of working closely with Bill on the development of a malt training program because the sales people did not have adequate education in the malt beverage field. For years, Bill and I officed next to each other and shared the same administration support. Bill was eventually promoted to a VP, and created the e-training programs, which were implemented during my last year at Glazer’s. About a year or so after I left, in a “cost cutting umbrella,” Bill’s position was eliminated and he was escorted out the door without even a thank you. After all those years with Glazer’s, Bill had a very difficult time accepting what had happened to him. Eventually, he and his wife decided to leave Dallas and relocated to North Carolina to build a new home. It was there that Bill passed away. Bill was a true professional and friend and he truly loved what he did and the company for which he worked. 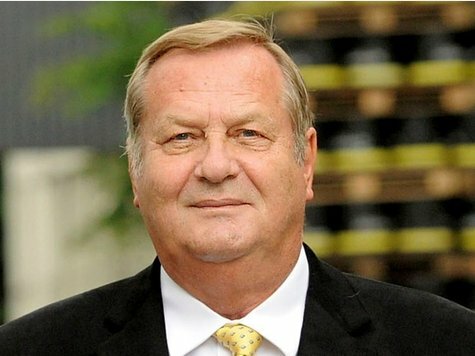 That same week, Albert Cramer, the owner of Warsteiner Brewery in Germany, and the 8th generation Cramer to run the brewery, also passed away. As President of Warsteiner Importers Agency, I had the pleasure of getting to know Albert well. There is very little I can say about what Albert accomplished, as head of the brewery, because so much of what he achieved is well documented in the press. He was quite the leader. On a couple of occasions I visited with him at his US home in Florida. I remember once driving to meet a long-time Warsteiner draft account in Orlando when Albert and I got into an argument regarding the correct turn to make to reach our destination. Being the hard-headed German he was, Albert stopped the SUV right in the middle of the highway and started speaking to me in German. I was in the front seat thinking I was following along! After a couple of seconds, I reminded him that while this wasn’t the German autobahn, it still was a US interstate highway, and unless we all wanted to be road-kill, we had better get moving. He did, we found the location of the account, and we all had a wonderful dinner. We’ve all lost friends who have made great impacts on our lives, both personally and professionally. I will truly miss Bill and Albert, however, my life is much better because I did have that chance to know them well. As Ben Franklin said “Beer is proof that God loves us and wants us to be happy.” You can bet someday I’ll join my friends over a cold one. Until then, these two friends and leaders will be missed.